A genuine cowboy city, Cody is famous for its nightly rodeos and its proximity to the protected wilderness areas of the world's first national park, now designated as one of the country's World Heritage Sites. Cody is known for museums, nightlife, sightseeing, nature, and historic sites. 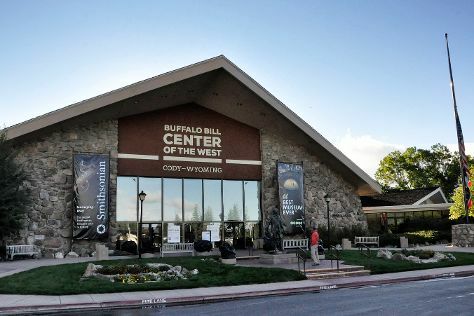 Your plan includes some of its best attractions: examine the collection at Buffalo Bill Center of the West, delve into the lush surroundings at Shoshone National Forest, make a trip to Pahaska Tepee, and steep yourself in history at Old Trail Town. For more things to do, other places to visit, and tourist information, use the Cody trip itinerary planner. Expect a daytime high around 34°C in July, and nighttime lows around 17°C. Wrap up your sightseeing on the 7th (Fri) to allow time to travel back home.